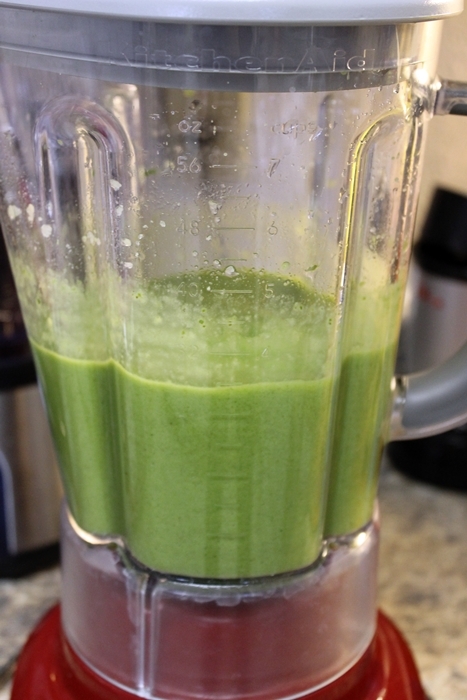 For those of you interested in Green Smoothies, I have tried another combination, courtesy of Martha Stewart’s Green Machine Smoothie recipe. The ice, apple, and avocado. 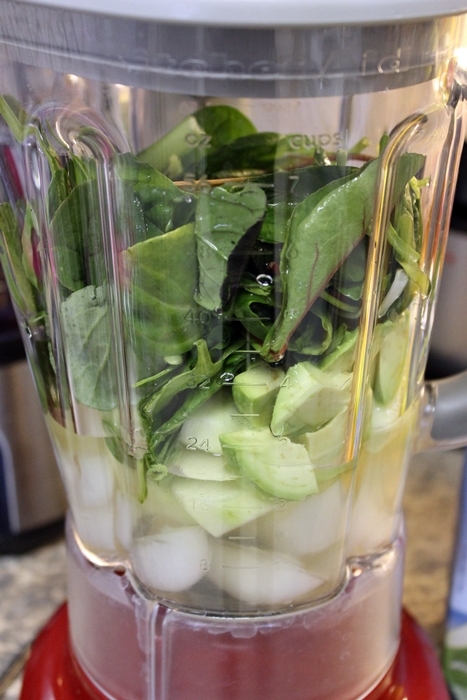 Coconut water and spinach added. I made a little more than I needed for myself but this was lunch so no biggie. Maybe a little less ice and water next time to reduce the serving for one. I think a little lime would be fun next time too. 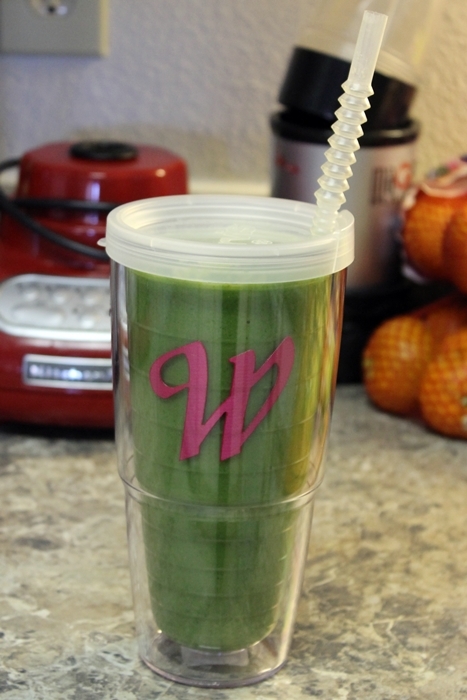 I’ve also made this Strawberry-Pineapple Green Smoothie recently. LOVE IT! 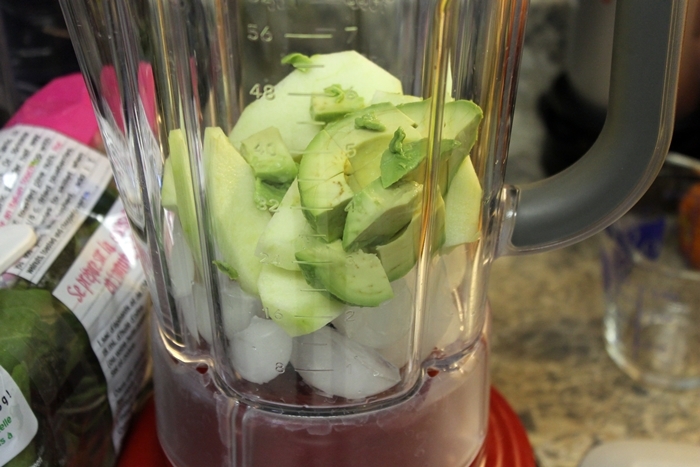 I used coconut water instead of plain old water and I added a tbsp of flax seed as well. I am a HUGE fan of strawberries so this will be a favorite of mine I’m sure. Don is still more partial to the peanut butter banana blend. To each his own.